Sherman Furniture Rentals offers, at no charge, corporate relocation assistance in Upstate New York (including Albany, Rochester, Buffalo and Syracuse), Eastern Pennsylvania, Western Massachusetts, and Vermont. Long term hotel stays are expensive, whereas furnished apartments are more cost effective and offer a much better quality of life. Living spaces that are already furnished may not fit your particular needs and often come with unnecessary upcharges. We’ll help you find an appropriate temporary home based on your budget and where you’d like to live. We’ll furnish it according to your exacting specifications. living space into a furnished apartment. We’ll do the research and provide you with a list of available apartments that are tailored to your specific needs. You’ll then have the freedom to rent exactly what you need, where you need it and at a much lower cost. Once set up, all you need to do is unpack your bags! Save money with our Furniture Packages, or rent by the piece. We also offer complete housewares packages which include everything you’ll need to simply bring in groceries and your clothing and start living. Let one of our sales staff help you today! Don’t waste time calling around and doing web searches that may not give you exactly what you want. and we can save you time and money. I've worked with Sherman furniture for many years now and would highly recommend them. I just love working with Tracy and Dyan and the rest of their staff! They do a fabulous job. I have been working with Sherman Furniture for years and I really enjoy working with them. They are a very professional and great with customer service. I especially want to recognize Tracy, Linda, and Dyan. They are amazing! Thank you all for the excellent customer service. 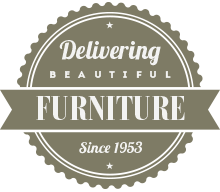 Unbeatable prices, clean and comfortable furniture and customer service that goes above and beyond! I've worked with Sherman's for two years now to furnish summer employee housing. They have provided us with exceptional service. I highly recommend. Website © 2019 Sherman Furniture Rentals - Website Designed & Developed by Wilford Design Inc.